In good condition, a solid Fenton Brothers of Sheffield made WW1 British infantry officer's sword. 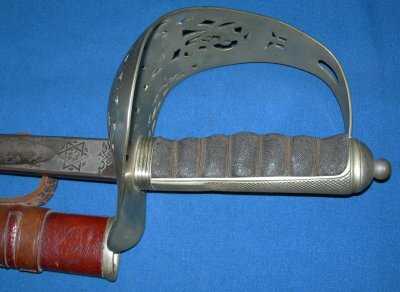 A lovely quality Sheffield made WW1 era British infantry officer's sword. Marked on the ricasso to "Fenton Brothers Ltd Sheffield - Cutlers Est 1858 - Sword Cutlers to the War Office". 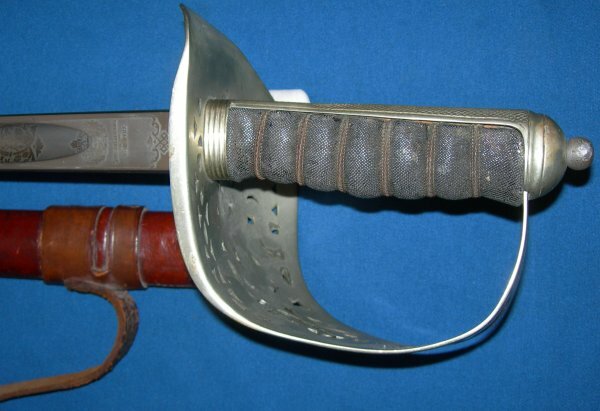 A steel hilted, rather than plated steel hilted sword. The 32 1/2 inch blade is in very good condition, nicely etched and firm in the hilt. The hilt is also in very good order, as are the fishskin grip and associated twisted wire grip wire bindings. The scabbard is a little aged; we applied leather balsam to it to preserve it. The leather scabbard suspension frog strap is really unusual in that it is side mounted, for whatever reason. The sword sheathes and draws well. 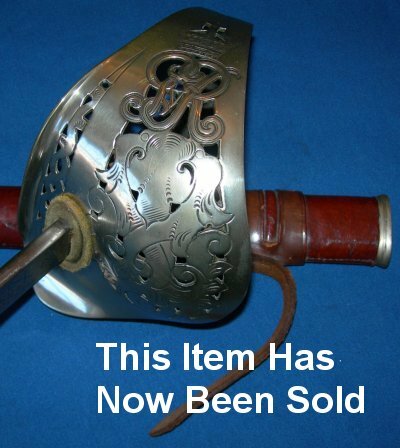 A well above average example with a preferable non-plated steel hilt and side mounted suspension loop make the price of £350 a real bargain. Please quote item reference number I29. Further / full sized pictures available upon request. Box 1043-1m (2.152).